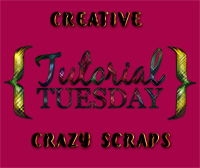 “All for Love” is a tagger size scrap kit created by Julie of Bits ‘n Bobs and can be purchased from here. You can visit her blog here. Thank you Julie for another beautiful kit!! Temp Layer 3 and Temp Layer 4 should now be on the same layer. Paste Paper 15 Into Selection. Copy and paste Paper 14 Into Selection. Copy and paste Paper 8 Into Selection. 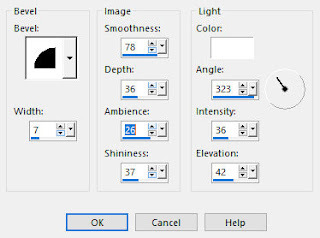 Click the lock icon at the top of your layers pallet to lock the layer. Click the lock icon at the top of your layers pallet to Unlock the layer. Copy and paste Paper 3 as a new layer. Move into position over the template. Right click on the paper in your layers pallet and choose “Promote Section to Layer”. Copy and paste your tube as a new layer over the promoted layer. Copy and paste element 41 as a new layer. Duplicate and resize 70% and duplicate. Move all 3 elements into position over Temp Layers 9, 10, and 11. Copy and paste element 73 as a new layer. Move all 4 elements into position over Temp Layers 12 and 13. Duplicate 2 more times for a total of 3 mask layers. 2 of them resize 70% and move into position behind each of the round frames – see my tag for reference.